Catholicism is not for the faint of heart. It is a commitment, a sacred duty, a responsibility. Serving the Master is the Christian’s priority, which oftentimes puts us at odds with the world around us. Several people have asked me, over the course of my journey, why I have pursued Catholicism. It seems I have a different answer each time the question is asked. But the answer is really quite simple. First, however, I need to explain my background. My name is Shelby Chowning. I have lived in northern Kentucky my whole life. I’m twenty-four years old, a graduate of Northern Kentucky University. I’m a man, even though Shelby is usually a girl’s name. I’ve always considered my Protestant baptism as my first real step towards Catholicism. Several events prompted my decision to make that commitment. I grew up in a close-knit and loving Christian family. Despite this, I really don’t have many childhood memories of attending church. I have vague memories of Sunday school classes, making crafts, coloring, and playing games. I was different, but I got along all right with everyone. This is really all I remember about experiences in church. There were tensions relating to our pastor being disowned by the congregation, and we stopped going after that. I wasn’t told much anything about God; for some reason religion was rarely brought up at my house growing up. For a long time, I was the only child in the home. I had a brother, ten years my senior, from my father’s previous marriage. He would come by once a year, for Christmas. Aside from that, I was a very lonely child. Additionally, there were few children my age on the road where I lived. I don’t say these things out of self-pity. This was just the reality I lived. At least my parents and grandparents loved me and treated me well. I had just a couple of friends; one lived up the road from me. We met in first grade and became friends almost instantly. Looking back, I think he, too, was lonely. It was through him that I had my first real encounter with God. His mother took us to Vacation Bible School one summer at the Baptist church they attended. On the last night of the program, we sang in front of the congregation. I didn’t know anything about God, yet I felt close to Him through singing, and that experience started me thinking about God. I was nine or ten years old at the time. God sometimes works in strange ways. I have always been interested in Japanese culture, but at the time, I didn’t realize how this would one day relate to my conversion to Catholicism. I had gone shopping with my grandma, being now ten or eleven years old. A lady came up to us and started talking to grandma. She said that her son was a missionary in Japan. His son, who was about my age, didn’t have any friends in America, and she wanted to know if I would meet with them while they were in town. We did meet; this was around 2006. I remember feeling so inadequate around them, because they were kind to me and seemed to know God. These feelings made me want to know more about God — if anything, just to impress my new friends. Since they lived in Japan, I didn’t get to see them often, but they would be in my life off and on for several years, and they were the first people besides my childhood classmate to speak to me about God. It was shortly after becoming acquainted with this missionary that I started reading the Bible. Even though I didn’t understand most of what I read, I would stay up late at night, trying to make sense of it. This activity planted seeds. I did eventually get a grasp on the Gospel story, and later, most of the New Testament. Growing up alone wasn’t completely a bad thing. I had the attention of my parents and grandparents. For a few years, from the time I was about seven to nine years old, we went annually down to Florida. Our neighbors had a summer home near St. Augustine, and we stayed near them. It didn’t occur to me at the time how much Catholicism had influenced this area, although I remember us walking through the park, where the chapel of Our Lady of La Leche stands, and just feeling so peaceful, surrounded by such beauty. I had no idea of the significance that Our Lady (the Virgin Mary) would bear for me later on as a spiritual mother through my Lord and Savior; I was simply intrigued by her, completely blind to her maternal love or anything else about her. Each year we would walk through this park. The seeds from this experience would germinate later. This all came to a head in 2007, when I was fourteen, after I had read the New Testament and seen Our Lady of La Leche. This was the year I remember my family going to summer festivals, which were hosted by local Catholic parishes and schools. I saw statues of Our Lady and observed the kindness of the Catholics working at these events. As a result, I wanted to know what Catholics believed in. I was told that Catholics are drunks and that they worship Mary. I didn’t know any better and believed these things for a little while. I was drawn to Catholic artwork, especially to images of the Sacred and Immaculate Hearts. I bought some holy cards of these images at one of the festivals. It happens that, in that same year, we took a family trip back down to St. Augustine. It wasn’t a religious trip (it never was), yet I always ended up somehow in that park. I wandered off by myself, going up to the chapel to take pictures (strictly for non-religious purposes, of course). As I was heading to the door, I nearly bumped into a lady with her young daughter. I was at a loss for words, so I just stared intently at her, until finally she exclaimed, “God bless you.” No stranger had ever spoken to me like that. I entered the chapel and stood alone, face to face with Our Lady, overwhelmed by the beauty of the building and curious about the images of the different people depicted on the prayer candles. When my family caught up, we went into the religious store on the site. I wondered if they had more cards like the ones I had found earlier that summer. Of course, there were cards upon cards of Jesus, Mary, and the saints. I was immensely curious about who all of the people on these cards were and wanted more than ever to know what Catholicism was. My parents would only let me buy cards with Jesus on them. Leaving the store, again I was told that Catholics worship Mary, yet the more I looked at the images on the cards and read the prayers on the back, I became aware that it was unreasonable for anyone to worship God’s mother. The prayers I was reading were all addressed to Jesus as God. Prayers I had read to the Blessed Mother always stressed intercession. Even at the age of fourteen, I knew that the people spreading misinformation about the Catholic Church (through no fault of their own; this was what they themselves were taught) were wrong. Regardless, I wanted more than ever to learn about Jesus and about the Bible. At this point I knew quite a bit about the Bible and felt called to Baptism. Looking back, I think I just wanted to be like my parents and the rest of my family, none of whom are Catholic. Yet, one Sunday, something moved me. I had talked to my parents earlier in the week about wanting to get baptized, so they both suspected that that Sunday I might go through with it. The minister had come over to our house to talk to us about the church, and also to sort out these Catholic sentiments I was obsessing over. I felt in my heart of hearts that Sunday (September 9, 2007) the urge to proceed to the front of the church to receive Baptism. For a short time, I still regarded Catholicism as a false religion and found their customs annoying and excessive. To my mind, the Bible was all one needed for salvation. Nevertheless, barely a week later, I felt what I can only call a deep longing for Catholicism, and I again became interested in learning all I could about that mysterious religion. I was flipping through the television channels one night and stumbled across EWTN. They were broadcasting Benediction and Vespers, evening worship. I had never seen anything like this before. Initially, I was suspicious and convinced myself that this was all superfluous nonsense. Nevertheless, I came back every day after school to the same program to learn about the faith. Back then, EWTN had some really great programs for kids, and even though they were for a younger audience, I really enjoyed them as a teen. Those programs gave me the tools I needed to help protect myself from the anti-Catholic sentiment that I would oftentimes face. I came to love both Jesus and Catholicism. I came also to understand that God wanted me to receive the Sacrament of Baptism, so that the Spirit could lead me to continuing conversion, until such time as I could go to a Catholic church on my own. One of the strongest memories I have of this kind of experience was when I was visiting my grandmother in the nursing home. I was maybe fifteen at this point. Her roommate was attempting to “evangelize” my dad and me, and it was evident that she was a Protestant. Eventually, she asked me if I believed in God. I told her yes. I was convinced that Catholicism was our Lord’s Church, so I answered, “Yes … but I’m Catholic.” This is what I came to tell everyone who asked what my religion was, even though I wasn’t technically a member of the Catholic Church at this point, because I fully believed all the Church taught. Her demeanor completely changed at this comment. Her tone became bitter as she spat out, “CATHOLIC?! Well let me ask you something.” She went on to ask me why I would want to confess my sins to a creepy man in a box when I can go directly to God. “Just think about that!” I remember her concluding. I was very patient with her, and just stared at her the whole time before walking out once she was finished talking. My father acted embarrassed, afraid that I would cause a scene, and let me know how disrespectful I (not she!) was for “insulting her.” I wasn’t moved. I knew the truth. I had experiences like this occasionally, but it was the conversations I would have with my Dad that really forced me to understand what I believed and why I was believing it. There were several times when I would be alone with my father, and we would spontaneously start discussing Catholicism. He must’ve asked me five separate times why I wanted to be Catholic. I’m not sure if he thought I would have a different answer each time (I likely did) or if he was just still not convinced. I would patiently explain to him that Our Lord founded the Catholic Church, and I wanted to be a member of it. I would explain confession, Marian devotion, and the Pope. One night, we were alone, driving to go see my grandmother again in the nursing home. She was living further away at this time, so it was a longer drive, and we had time to talk. It was after having one of these long discussions that he finally gave me his blessing to convert to Catholicism. The condition was that I had to wait until I got my driver’s license. And so I tried very hard to get my license so that I could drive myself to Mass every Sunday. I had friends in middle and high school, and even though I was a quiet guy, I got along with just about everyone. I was never bullied or disliked that I’m aware of. I just kept to myself, mostly as a result of this spiritual journey that no one understood. But I would soon come face to face with circumstances that would really shake me to the core, and make me think twice not only about my decision to become a Catholic, but make me question who I was as a person. It was around the summer before my freshman year of high school that I began to study other religions to the point of practicing them. Up until then, I was intrigued by other religions, and at the same time perfectly content and comfortable with Catholicism. But things changed that summer. I became fascinated with the concepts of spiritism, the occult, metaphysical healing, and meditation. Without thinking, I opened up doors to things that I could never control. I believe to this day that it was only my Baptism in Christ that saved me from full demonic possession. I started associating with people who were interested in the same kinds of things, and I came to befriend a woman who ran an occult store. I practiced New Age spirituality and got to a point where I was making “myself” the priority of my life: nobody else mattered. I thought it was somehow cool to “talk to spirits” and play with Tarot cards. I got involved with Wicca and other non-Christian religions. Throughout this crazy and complex struggle to “find myself,” I was ironically losing myself little by little. 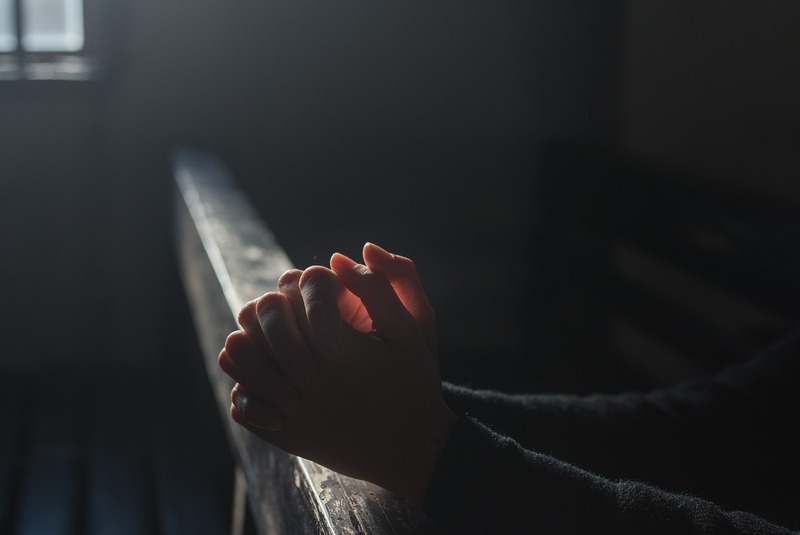 Nonetheless, I was continually having a feeling that I desperately needed the Catholic Church in my life, and there were times through this searching that I did return to a Catholic ideology. Yet, looking back, my soul was in a state of deep mortal sin, and I was desensitized to the devastating effects that these superficial pagan movements were having on me. I even attempted to forget everything and go back to my parents’ religion. I was very unhappy and dissatisfied with my life in high school. I still read about Catholicism, and read Catholic books, but I was too blind to truly see the need for Catholicism at this point in my life. Hanging out with like-minded people during this time didn’t help. There were long periods where I was deeply Catholic in my beliefs. I could sense God’s presence peeping in every now and then. He was there all along, and I was shutting Him out for my own pleasure and out of ignorance. My friends were generally accepting of everything I did, and some even became interested in Catholicism because of me. But no one understood what I was going through spiritually. This unfortunate spiritual labyrinth I was walking through, supposedly in search of God, opened up more evil that would enter into my life later on, evil which I willingly accepted, because at this point I was spiritually dead. I prayed the Rosary, and even the Chaplet of Divine Mercy, frequently from the time I was fifteen. But I still stumbled a lot. God was watching me from above, yearning to have me as His own once again. The evil that presented itself my senior year left me feeling more confused than ever. I was misguided by people who I thought were my friends, and though I realize I’m responsible for myself (I’m not blaming them for my failings), they didn’t help the situation. I had some family members who tried to convince me to just “be myself.” The only problem was that, to truly be myself, I needed the Holy Spirit. No one seemed to understand that. The evil I now faced was an identity crisis: who was I? I had no social life, and really wasn’t interested in having one. It was probably a blessing that I didn’t get my driver’s license until I was eighteen. I was very stressed about school, and would often feel nauseated in the mornings. I was anxious about my test grades, because I did poorly in that area and feared that I wouldn’t be able to go to college if my ACT score wasn’t good enough, even though my GPA was excellent. Nevertheless, as much as I tried to forget about God, He kept revealing Himself in subtle ways, and I desperately yearned, at times subconsciously, for a relationship with Him. I was very misguided and confused. There were very few Catholics in my high school. During the final days of my senior year of high school, I did try hard to get my life back together. One strong memory I have is of reading The Imitation of Christ on the last day of school. Several people asked me about Catholicism, and I was loosely known as “the religion guy.” I attempted that summer to put the last few years behind me. I got my driver’s license that summer and went to my first Catholic Mass. I was very nervous the first time I drove up, all by myself, to All Saints Catholic Church, the parish nearest to my house. I had no idea what to expect. I had read about the Mass, and I had occasionally seen the Mass on EWTN. I remember how I stumbled up to the Church and wondered how to get in. I was afraid to open the front doors, in case I walked in on a service. I eventually got in and took a seat. Mass began, and I didn’t know what was happening, but I could feel that something special was taking place. This was in August. RCIA was starting up that September. I talked to the priest after Mass, and he welcomed me to join the group. I still had doubts and held off going to RCIA. Then that October, I felt a “tug” to go to RCIA. He offered to give me one-on-one classes until I got caught up with the other people. God bless that priest! I went to one class with him, then the next week I drove up to the rectory and hung the catechism I was using on his door! No note of explanation or anything. I just couldn’t continue. This would happen several more times. 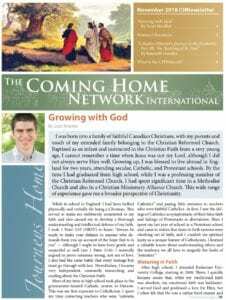 I still struggled with finding my identity as a Catholic man. It was there, buried deep in my soul. The seeds of my Baptism were eager to germinate into the seedlings of Confirmation, but I was stubborn and kept having second thoughts. Like many potential converts, I doubted God’s existence and pondered the existence of evil; I questioned how the creation accounts of Genesis could be compatible with science. There were a lot of things I needed to get sorted out before I could commit to Catholicism. That’s the word: commitment. I was afraid of committing to something that I knew would require my complete participation for the rest of my life and beyond. I knew it would require taking up the crosses that I had previously become aware of, embracing them rather than throwing them down and running away from them, as I so often did. That fall, I started my freshman year of college at Northern Kentucky University, while trying to convince myself that I could forget about God in college. I wrote religion off as merely a means of social conformity, as a way of controlling the masses with fear. Again, I got involved with people who meant well, and who didn’t encourage me to go down terribly bad paths, but who were naïve and, like my peers in high school, were simply clueless about the spiritual trial I was enduring. And again, God was silently pushing me ever so gently to enter His Church. This is the way things went throughout college. I would go through phases where I felt God and wanted desperately to be Catholic, but at other times, I would completely abandon any notion of religion. This was a terrible cycle. I yearned for God more and more each time this would hit me. I attempted to get involved with my university’s Newman Club, but the demands of my classes and the fact that I commuted each day, not to mention my personal struggles and doubts concerning God and religion, made it very difficult to attend the meetings. I did manage to make some Catholic friends during this time though, who are friends to this day. I met Father Hils in October of 2014. I was in my sophomore year of college at this point, taking courses on religion, and Religious Studies would ultimately become my minor. At this point, I had been going off and on to All Saints parish for two years, and was becoming embarrassed. I thought it would be a good idea to try a different Catholic church. St. William Catholic Church is in the same county, but a little further away than All Saints. Father Hils was great and inspired me so much. He patiently explained the faith to me. I stayed in the RCIA program for a good two and a half months before again falling into doubt. This, coupled with my recurring fear of committing to something that was permanent, made me think twice. This time, at least, I texted him, explaining why I was leaving. Still, I couldn’t stay away for long. I finished my sophomore year of college distant from God and His Church. A few months went by before God called me again. I was driving home from school one evening. It was the autumn semester; I was a junior. I was passing in front of All Saints Church and suddenly felt a strong urge to go there. It was a Thursday evening around seven, which was usually when the RCIA classes were held. It was September, so I suspected they had started fairly recently. When I got to the church, the class had just begun. The sister who helped with the class knew me by now, since I had been taking RCIA each year since 2012, only to back out again after only a few sessions. This happened again the following year, my convictions growing stronger each time. It was now late Autumn of 2015. I went back to St. William’s Church during this time, and Father heard another confession from me, while going to RCIA at All Saints. All of this confusion reflects what my mind and soul were going through during this period in my life. I can blame only myself for waiting like I did and being so stubborn in the face of God’s calling. It would be another year before reaching a point where I would finally be able to call the Catholic Church my home. I graduated from college in May of 2016. The year had flown by. Unfortunately, I got to a point where I threw down my cross in a frenzy of pride. I desperately strove to forget all about God and about Catholicism. I convinced myself that up until that point, I had been sheltered and didn’t really know what the “real world” had in store for me. I wanted to live as if I never knew God and as if I were never baptized. And I successfully (so I thought) shut God out of my life for an entire year, instead becoming occupied with work, studying foreign languages. Instead, I embraced pop culture, as well as other things I’m not proud of. Then in January of 2017, I had a profound experience. I was sitting at the kitchen table, and suddenly it dawned on me that nothing made me happy. Nothing could satisfy the void in my heart that yearned desperately for God. I realized that I was ready to join the Lord’s Church. This time, I knew I would finish up the RCIA training I needed and would be confirmed at the Easter Vigil. Nothing anybody said to me or did to me would deter me from becoming Catholic. I had heard all of the arguments against Catholicism, against the existence of God, and people had told me by now all manner of things against converting. Everyone knew I was struggling between following the world or following God. I was supported, but it was no secret that most people in my life expected me to choose the world, because that’s what they and most people choose. They had no idea what I was going through spiritually. But I knew. I could feel God in the core of my being, calling me home. In that moment, sitting at the table, an overwhelming peace came over me. I returned to St. William Catholic Church, went to confession again, a year after my last time, and kept going back every week. The sacrament healed me little by little of the wounds of my past, and strengthened me against temptation. I read the Bible and prayed the Rosary daily. I went to Mass every Sunday, and on weekdays when I could. I persevered in RCIA and got to know the parishioners. I realized I had a family there who would embrace me as their own. I wasn’t alone. And I was never alone. Lent came, and the spiritual healing that comes with this special season swept me into a refreshing bliss. I helped the parish with the fish fries every Friday, read Lenten reflections and other faith-building books. I received prayers of deliverance from an exorcist, due to dealing with the occult and other struggles that presented themselves in the circumstances of life. And on April 15, 2017, at the Easter Vigil, I received the Sacrament of Confirmation and my first Holy Communion. Pure bliss overwhelmed me as I swallowed the sacred Host. I was finally home! I continue to frequent the sacraments and live fully and deliberately as a Catholic. I have no regrets now. I am completely unashamed of who I am as a man of God rooted in a life devoted to Christ and His Church. To answer the question presented at the beginning of this reflection: only Jesus Christ brings us true happiness and peace. Now the real journey begins. I’m not looking back, only moving forward. It has now been over a year since I was received into the Catholic Church. While I’ve faced my share of struggles and crosses, the Lord is loving and merciful, and I could never call any other church home. I have encountered many loving people, people who embrace me and consider me family. I have started attending the Latin Mass, because the ancient language of the Church really speaks to me. Each day I strive to keep the Lord’s presence alight in my heart and soul. Currently, I am praying about and pondering which vocation the Lord is calling me to. We all have our difficult moments. But if we can hang to Christ and unite our suffering to His in those moments, we have the opportunity to grow in holiness. And if we can do that for the short time we’re on this planet, we’ll be all right. Shelby Chowning is 24 years old and is discovering new ways to be proactive about the Faith. He is pursuing a career in Catholic book publishing and exploring his call to a vocation, whatever that may be.